Oh Next, you are killing it this season. I don't know how it happened, but Next have started 2018 in the best way. 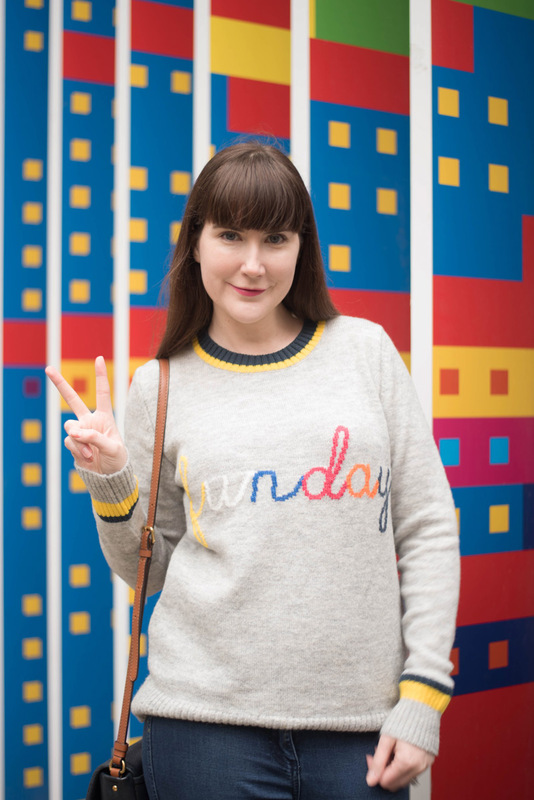 Over the past month, I have attracted no less than four jumpers from them (three were birthday gifts) and I couldn't wait to wear this Grey Funday Slogan Sweater. The British high street store, recently asked uber babe Emma Willis to create a Spring Edit. 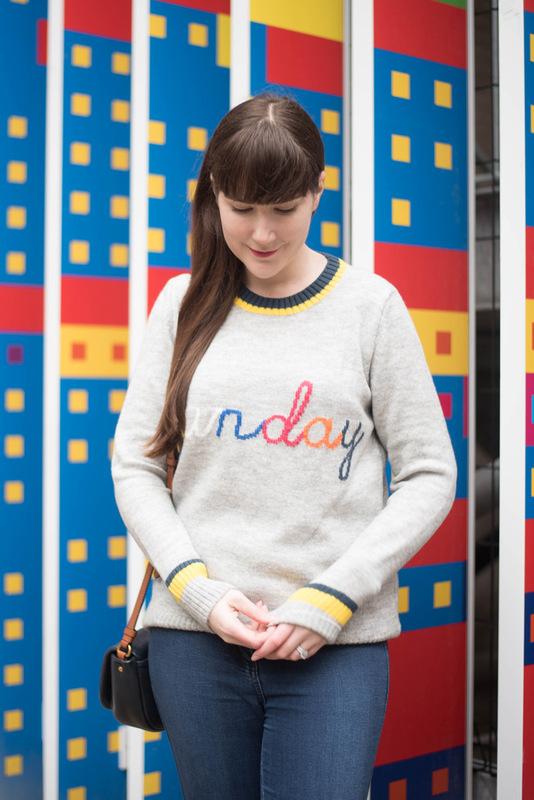 I'm a big fan of Emma's style and she selected some cracking Next pieces in her edit, including two of the jumpers I now own. If you have time, she features in a sweet little video about her personal style which I recommend watching. I love how she admits her style isn't effortless and that sometimes she takes ages pulling together a look. We can all relate. 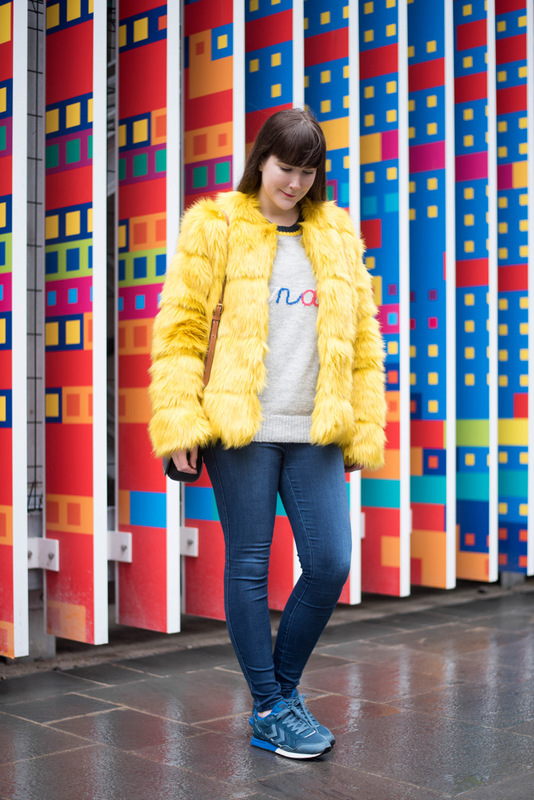 The weather has been pretty rubbish for the past few weekends in Bristol, but that didn't stop me throwing on my yellow big bird coat from Bershka and this fun jumper. It definitely makes me think of Boden but it's much more affordable than your average Boden knit, at just £28. I did size up to a 12 for a more relaxed fit - the 14 looked okay as well but it was a little too baggy under the arms. If you fancy nabbing one for yourself, it has unfortunately sold out online but there are still a few floating around in store. Although I've worn it quite casually here, I'd like to style it with a crisp white shirt, some skinny jeans and a pair of Chelsea boots for a more formal look. I'll certainly be hand washing it to prolong its life span as I know it's the kind of piece I'll want to pull out year after year!